In the past we have been led to believe there were specific buffer zone distances that were to be adhered to for a transfer station. On reading the provincial guidelines we find there are no setbacks listed other than a 15 metre buffer zone around the station. Any other “Set Backs” or “Buffers” are left up to the residents and the Regional District to work out. It is desirable that a transfer station be located near the centroid of the population to be served, and near a major haul route to the destination landfill. The specific location of a transfer station shall be described in the Regional Solid Waste Management Plan, and should be acceptable to the majority of the public and the regional district board. 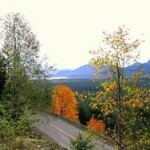 As required in the Guide to the Preparation of Regional Solid Waste Management Plans by Regional Districts (BC Environment, 1994), if a new station is proposed, and is not included under an approved Plan, then an amendment to the Plan shall be prepared, documenting the public discussion and acceptance of the site. The location of solid waste management facilities, including transfer stations, in relation to the presence of indigenous and migratory wildlife, is an issue of increasing importance as the activities of human beings intrude more heavily into the traditional habitat of bears and other wildlife. It is important that attention be paid to avoiding areas of high concentration of wildlife, such as migratory paths and other high use/high presence locales, in the siting of transfer stations and other solid waste management facilities. Local staff in the ministry’s regional wildlife sections should be consulted for information related to a specific site under consideration as well as for advice as to general areas to be avoided. The transfer station is classified as a “civic use”, and as such, it is permitted in all zones. There are no legal requirements for the distance a transfer station has to be from residential lots, however, provincial guidelines state that there should be a buffer of at least 15 meters to shield transfer station activities from neighboring properties. 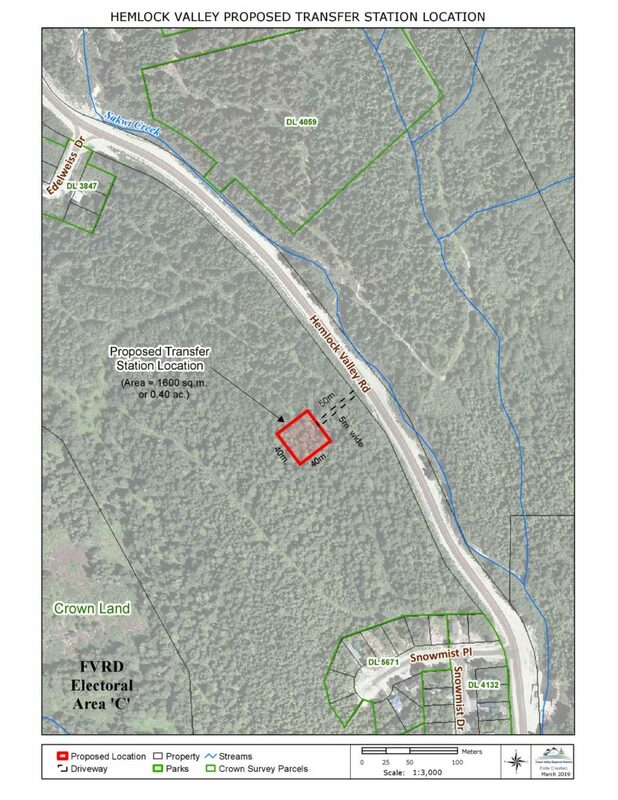 For reference, the existing open garbage bin on Laurel Road is 150m away from the nearest homes across Hemlock Valley Road, and is less than 6m from the Fire Hall.